The ANZ bank made a substantial downward revision for its economic growth forecast for Solomon Islands, as the full impact of a recent cyclone and flood become more apparent. The ANZ's latest Pacific Economic Quarterly has reduced growth expectations from 2.8 per cent to negative 1.5 per cent. 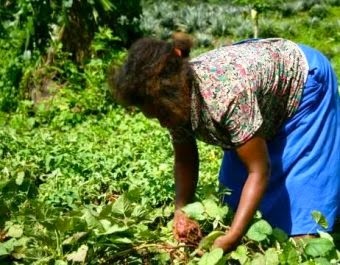 It is the first time Solomon Islands has experienced negative economic growth since the global financial crisis in 2009. ANZ’s Economist Dan Wilson says the suspension of mining at Gold Ridge is partly to blame for the revised forecast. Minister of Finance Rick Hou acknowledged that the impact of the recent flooding has had a negative impact on government’s budget and growth forecasts. “The impact of the floods not only affected the government’s budget, it also caused huge damages to the Guadalcanal Plains Plantation and Gold Ridge, two key revenue earners for the government,” the Minister of Finance said in Parliament. Local economists say that the government needs to recognize that with our narrow economic base the impact of such disasters will always be severe. “We are prone to such disasters, our economic base is very narrow, we depend too much on a few products making us very vulnerable,” the group said in an op-ed piece. The group says that while tourism is certainly an area worth pursuing, the government still lacks proper policies in relation to other sectors such as agriculture. The group says that the advantage of the agricultural sector is the potential it has to create opportunities for those in the rural areas.